The George Sherman Union of Boston University hosts the meeting. All talks, splinters session, and poster sessions take place on the second floor. A major public works project will take place during the CS20 meeting, where a road bridge crossing an interstate close to the conference venue will be replaced. Thus, the area between the conference venue and the BU dorms will be closed to most vehicular traffic. Based on a similar project last year, this will not be too bad. The lack of cars made walking and cycling easier. The MBTA (The "T") will be providing free complimentary shuttles that will be accessible from the MBTA stop near the BU dorms (10 Buick Street) to/from the MBTA stop near the conference venue. However, taxis, uber, and Lyft vehicles may be forced to drive large detours to reach the BU dorms: Details of traffic detours. The banquet will take place on the 51st floor of the Prudential Center (called "Top of the Hub"). It's about a 30 min walk from the conference venue and we expect that most participants will walk with us. If this is too far for you, please see us at the registration desk, we have a limited number of public transport tickets available (2 stops on the bus plus 2 stops on the metro). Downloadable walking instruction are available as pdf. Get from the conference venue to the Prudential Center. See Google maps. Walk through the shopping center to the Prudential tower elevators, see map (all inside the building). This is a very informal affair - a tradition started a few CS meetings ago. 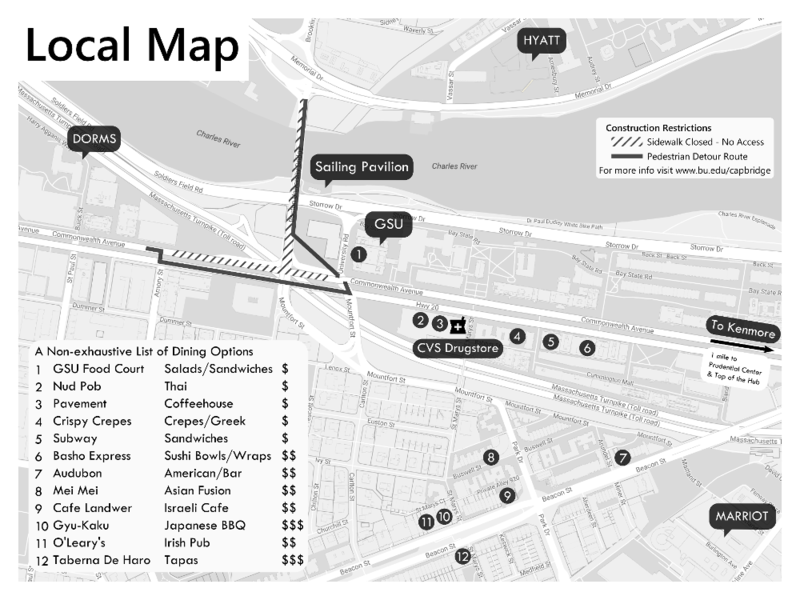 On Friday afternoon, after the offical conference closes, we'll hold a BBQ on the Cambridge side of the river on MIT grounds (Google maps). We will start serving food once the caterer has finished set-up (about 1:30 pm) and continue until food runs out or 5 pm at the latest. We'll have a couple of chairs and tables, but most of you will have to sit on the grass as you casually discuss science results and say goodbye to old and new collaborators. The photo shows the Walker Court looking inwards to help you find it. When you sit there and turn around, you'll see the river and the skyline of Boston. Logan Airport (IATA-code: BOS) is served by a large number of US and international airlines. Direct flight are offered to most major US and European airports. Several smaller airports exist in the Greater Boston area, but connecting from there to Boston is usually less convenient. Public transport in Boston is provided by the MBTA. From the airport, the "Silver Line" is a bus leaving right outside the Terminal. (Travel starting with the Silver Line from the airport is free, a measure introduced to reduce congestion at the airport terminals.) Stay on the bus to the final stop (South Station) and transfer to the Red Line (inbound to Alewife) for two stops ("Park Street"). Change to a Green Line train outbound to "Boston College". (Note that the Green Line has several branches, so check the destination on the train.) The Green line stop "Blandford Street" is a 10 min walk from the Conference Venue. Due to construction, the Green Line B branch terminates there. If you don't want to walk there are free shuttle busses every few min that can drop you off at "Boston University, Central" (conference venue) or "Saint Paul Street" (BU dorms). Both the MBTA and Google Maps offer a journey planner that has up-to-date timetables for all train and bus services in Boston. A taxi from the airport costs about 30$ (15-20% tip are expected in the US). Taxis prefer cash, but also accept all major credit cards. Popular US ride and ride-sharing apps like Uber and Lyft operate in Boston and will service (pick-up and drop-off) the Boston Logan Airport. The fees are typically ~$25-35 for single rides but can fluctuate due to the demand at the time. The option to automatically share a ride with other Uber/Lyft users will significantly reduce the price. In order to access these rides, you must install the app on your phone and have access to the internet. Creating an account through the app and registering your credit card is required for service since the drivers will not take cash or credit. Public transport in Boston is provided by the MBTA and Uber and Lyft are popular services, too. 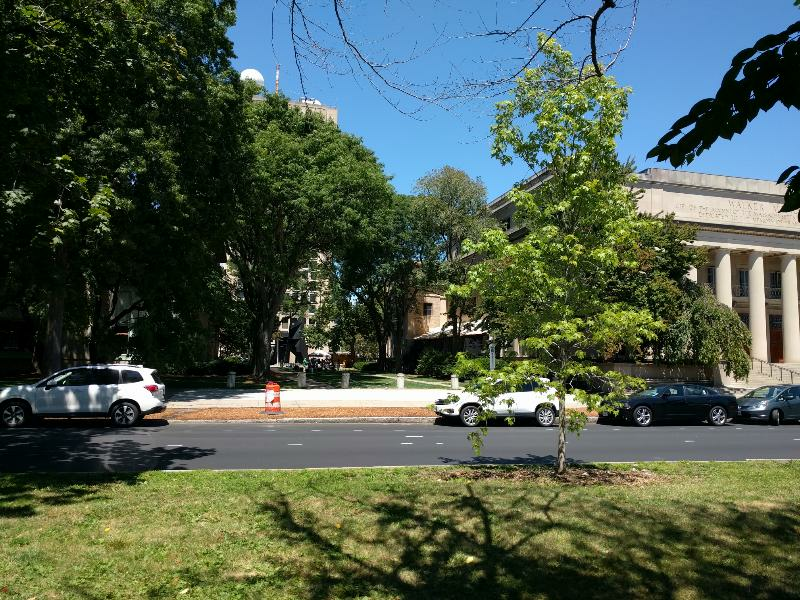 However, the center of Boston is relatively small with many parks and pedestrian-friendly streets, so simply walking is often the best option to get around. BLUEbikes offers a bike share service for $10 per day (including any number of rides < 2 h during a 24 h period) or $20 per month (including any number of trips < 45 min). There are two BLUEbikes docks near/at BU. The bikes are not lightweight, though. Urban Adventures offer a variety of bikes for rent that they will deliver to your hotel. They are more expensive (for their hybrid city bikes, the listed price is $40 for the first 24-hours and $25 for each additional day, Monday-Friday), but include helmets, locks, bike lights, and flat kits. They also offer city tours. Conference room block is filled. 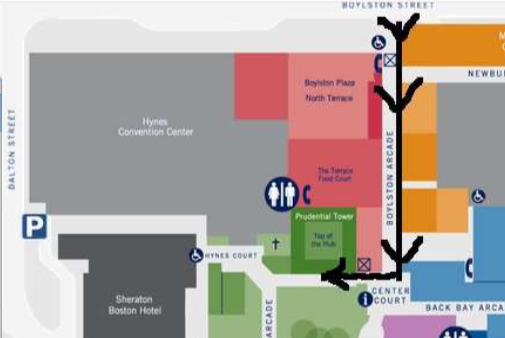 We offer accommondation in BU student halls (green marker on map above, MBTA stop "Saint Paul Street"), about 10 min on foot from the conference venue. As part of the Green line construction project there will also be free shuttle busses to the conference center every few minutes. The modern, air-conditioned high-rise was opened in 2010. Apartments have four single-occupancy bedrooms, two bathrooms, a kitchen (not stocked), and a living area. Beds come made with linen and bath towels, and basic amenities. There is a Gym in the building. Price: $85 per person per night (single room, but bathroom shared with one other person) or $149 per person per night (single room, private bathroom). Optionally, breakfast is available in the dinning Hall at $8.35 per person per day. Booking can be done at: http://stay.bu.edu/coolstars2018.bnb. On the website, pick arrival and departure date by clicking in the date box​ (Click arrow to proceed to next month) and click "SEARCH".​ Please contact Jenine Humber (jhumber@cfa.harvard.edu) with any problems. We reserved a block of rooms in the Hyatt Regency Cambridge hotel. This is located about 10 min on foot from the conference venue, the hotel will also provide a bus shuttle. Rooms are between 240 $ (+ tax) and 360 $ (+ tax) per night. Book using this link (valid until all rooms are reserved, but no later than July 16). Please contact Jenine Humber (jhumber@cfa.harvard.edu) with any problems. We also reserved a block of room in the Marriot Residence Inn at Fenway which is located right across from Fenway Park and only about 15 min on foot from the conference venue. The room rate is $319.00 per night plus 14.45% tax. It comes with full hot breakfast buffet. Book using this link (valid until all rooms are reserved, but no later than June 29). Please contact Jenine Humber (jhumber@cfa.harvard.edu) with any problems. The conference venue is only a few minutes walk from the famous baseball stadium "Fenway Park". Several other hotels are available in this area and can be found with any search engine or travel agency. More affordable options should also be available via websites such as Airbnb (We do not endorse any particular option. Links are provided as example only.). International visitors who present an oral talk, poster, or an exhibit and whose country does not participate in the U.S. Visa Waiver Program may request a letter of participation from cs20@cfa.harvard.edu for a B1 Visa for Business in a timely manner. When requesting a letter of participation, please provide presentation information and full contact information (telephone and mailing address). Others who do not meet the above criteria but need a visa for entry may apply for the same Visitor Visa except it will be for the Visa for Tourism-Pleasure (B2 Visa). No support letter from CS20 is required. For more information and guidance regarding the Visitor Visa program, please read: Directory of Visa Categories.